The almost absence of sustainability reports in Portugal prepared using the Global Reporting Initiative (GRI) guidelines in public sector (PS) entities led to the study of the strategic responses to institutional pressures, as suggested by Oliver (1991), in the few entities that publish such reports. The objective of this chapter is to determine the institutional factors that motivated sustainability disclosure in GRI reports. An interpretative approach through open questionnaire was used to analyze the strategic responses to the institutional pressures and expectations provided by PS entities. The results show that not all the institutional factors that lead Portuguese PS entities to disclose their social responsibility are in the acquiescence line, accommodating other strategic responses. Thus, this acquiescence is verified when the consistency with organizational goals is high and when the constraints and the multiplicity of stakeholders are low. 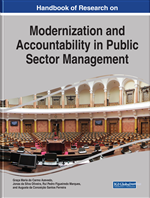 In the 1980s, some governmental agencies began to implement PS managerial changes to improve their efficiency and effectiveness, motivated by demands imposed on governments to optimize the use of public resources (Mucciarone & Neilson, 2011). This optimization in the PS is important, according to Ball and Grubnic (2007), since it represents around 40% of the economic activity worldwide (Lynch, 2010). In Portugal, despite the new legislative orientations for “good governance practices,” voluntary sustainability reports following the GRI guidelines are scarce. Several explanations can be found in the literature to explain the disclosure of sustainability reports. One of these appears when scholars have connected the institutional perspective to the strategic choices to better understand organizations’ strategic responses to institutional pressures (Clemens & Douglas, 2006). In this sense, Oliver (1991) proposes a number of strategic responses to institutional pressures and identifies responses that an organization is likely to adopt. Gauthier (2013) invokes these institutional pressures to develop opposing propositions related to the organization’s responses regarding sustainable practices. He also considers that Oliver’s (1991) framework may be particularly useful for sustainability scholars. Institutional theorists have related conformity to the institutional environment and adherence to external norms and rules (Meyer & Rowan, 1977; DiMaggio & Powell, 1983). Institutional environments can create structural uniformity since companies formally adopt structures to attain institutional legitimacy (Meyer & Rowan, 1977). The same way, uncertainty may drive toward isomorphism, and institutions can face coercive, normative, and mimetic pressures (DiMaggio & Powell, 1983). Thus, the main research questions in this essay are: Which strategic responses, according to Oliver’s model (1991), Portuguese PS organizations adopt to prepare GRI sustainability reports? What institutional pressures are PS entities answering when they voluntarily disclose their sustainability practices using GRI sustainability reports? Using an open questionnaire approach, this study answers Oliver’s call (1991) to develop further research in different institutional environments to predict the likelihood of conformity or resistance to institutionalization. Thus, using Oliver’s (1991) model, new theoretical arguments were introduced and the institutional factors that define voluntary corporate social responsibility (CSR) disclosure in the Portuguese public sector explained, focusing on the likelihood of strategic responses of acquiescence. For this, 10 propositions were adapted from Oliver’s model, reflecting the strategic responses to institutional pressures that PS entities adopt. Portugal is a country in the south of Western Europe, one of the least developed countries in the eurozone and a small country of the Organisation for Economic Co-operation and Development (OECD) (Lopes & Rodrigues, 2007; Branco & Rodrigues, 2008). To the best of our knowledge, this study is the first to use Oliver’s (1991) strategic responses to analyse institutional pressures to adopt CSR disclosure and sustainability reporting in Portuguese PS entities. For this purpose, a qualitative research method using an interpretative approach has been followed. The central thesis is that PS entities are voluntarily disclosing their GRI reports as a strategic response to institutional pressures, to communicate CSR practices to stakeholders and the community. Public Sector Entities: In Portugal, are usually classified as “administrative public sector,” and government business enterprises (GBEs) which respond to the Central Government. Triple Bottom Line (TBL): Describes a situation where companies harmonize their efforts to be economically viable, environmentally sound, and socially responsible, presented in a stand-alone publication. Global Reporting Initiative (GRI): Independent organization that helps businesses, governments and other organizations understand and communicate the impact of business on critical sustainability issues such as climate change, human rights, corruption and many others. Acquiescence: The act of acceding to institutional pressures through alternative forms such as habit, imitation and compliance to the organizational environment. GRI Guidelines: Instructions used by organizations of all sizes and types, across sectors and regions for sustainability reporting used worldwide, aimed at defining report content and ensuring the quality of reported information. Sustainability Reports: Reports published by a company or organization conveying disclosures on an organization’s impacts on the environment, society and economy. They present the organization’s values and governance model, demonstrating the link between its strategy and its commitment to a sustainable global economy.